Among other provisions, the new Animal Protection Act also introduced an obligation to carry out dog microchipping controls, meaning that all local communities are now required to ensure the microchipping of dogs by June 30th, 2018. Animal Friends Croatia informed all cities and municipalities about this new provision and called for an allocation of resources in their 2018 budgets for microchipping control and timely implementation. Although the legal obligation of dog microchipping has been in force in Croatia since 2004, there are still irresponsible citizens who break the law and thus cause problems for the entire community – in fact, it is estimated that around 30% of dogs are still not microchipped. This dangerous practice must be stopped, not only to protect animals and humans alike, but also to significantly cut down the costs of dog care, spaying/neutering, and animal advertisements and adoption for local communities, all of which are problems caused by the abandonment of dogs. The Animal Protection Act stipulates that the obligatory microchipping of dogs must be supervised by communal inspectors. Aware that communal inspectors are preoccupied as it is, Animal Friends Croatia proposed the hiring of new communal inspectors who would assist the existing ones with the implementation of microchipping controls and help them cover all the households in the community. In order to make the implementation of this provision as efficient as possible by middle of the next year, communal inspectors should cooperate with veterinarians and other local services that may be able to help. The citizens are required to provide the communal inspectors with a proof of their compliance with all the legal obligations, including dog microchipping, and the officer may check their claims by verifying the validity of the documented microchip with a specialized reader. Microchip readers are readily available and an essential equipment for all communities. Local authorities also have the right to access the database of microchipped dogs. Bigger communities have already started “quick action controls”, the implementation of which was announced via local media and educational pamphlets. Such actions regularly result in many citizens deciding to fulfill their obligations, which has been proved time and again by an increase in dog microchipping witnessed by veterinarians in those time periods. Based on the experience so far, very few citizens (around 3 percent) have actually instigated trouble with the communal inspectors, as they are aware the follow-up visit with the police implies additional sanctions. In most cases, it suffices to mention that microchipping costs 90 kuna, while fines for non-compliance can reach up to 6,000 kuna. All local authorities that have set in motion the control of dog microchipping in their communities have quickly seen concrete results and found ways to make controls even more efficient. They were also made aware of just how much said measures can help the local community, given the fact that a microchipped dog is officially his guardian’s responsibility. Every microchip is equipped with a unique identification number, containing information on the guardian (address, phone number, personal ID number, etc. ), as well as essential information on the animal and information on spaying/neutering, vaccination, etc. 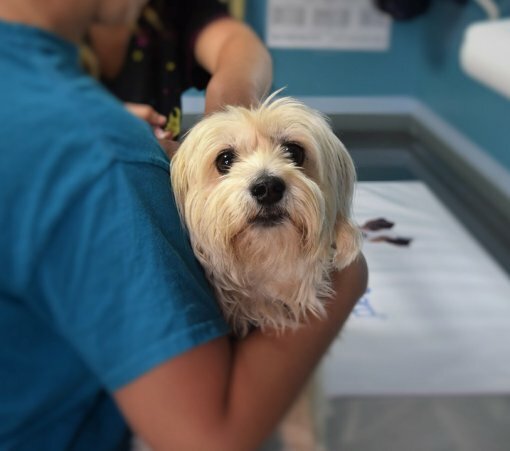 If a guardian abandons or loses their dog, shelters and veterinarian offices are able to find out information on the guardian by reading the microchip. This is especially useful in animal shelters, as it makes it easier to reunite microchipped dogs with their guardians. Find out more about all the provisions of the new Animal Protection Act.